The project is dealing with innovative approaches to turn agricultural waste into ecological and economic assets. Driven by a «zero-waste» society requirement, NoAW aims to apply a circular economy approach to agricultural wastes on a territorial and seasonal scale. The NoAW project considers that mostly unavoidable and continuously generated agro-wastes are a true resource for valorisation. 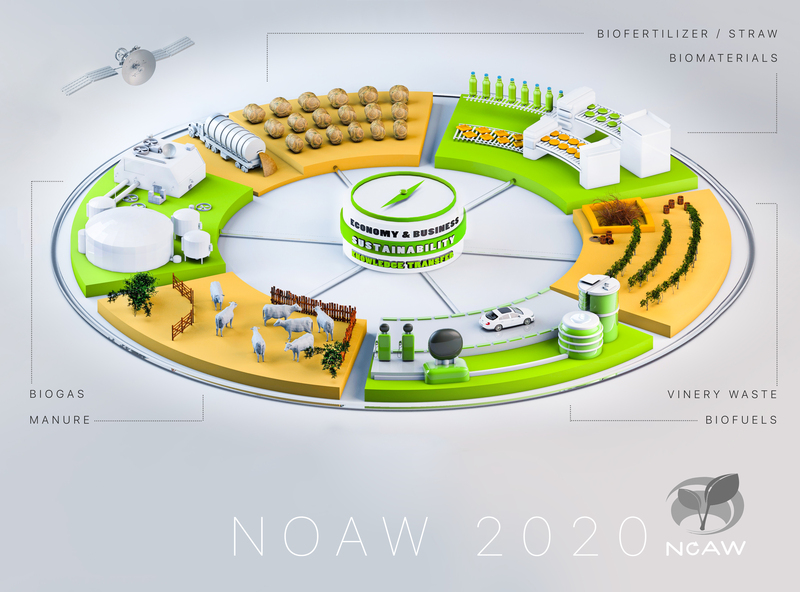 NoAW aims to pave the way for a sustainable agro-waste bio-refinery concept by shifting from a conventional environmental assessment to a nearly eco-design approach where special consideration is given for the environmental impacts of the product and process even in design phase. This provides innovative and robust tools for the determination of waste-resource recovery strategies at the early stage of production and valorisation chain design and minimize the negative impacts on water, air, and soil. NoAW intends to explore the potential of agro-waste to be converted into a portfolio of eco-efficient products which are produced using fewer resources and creating less pollution such as bio-energy, bio-fertilizers, bio-packaging and bio- molecules, in symbiosis with urban waste conversion. NoAW also considers environmental and human safety risks which can emerge from circular management of agro-wastes.